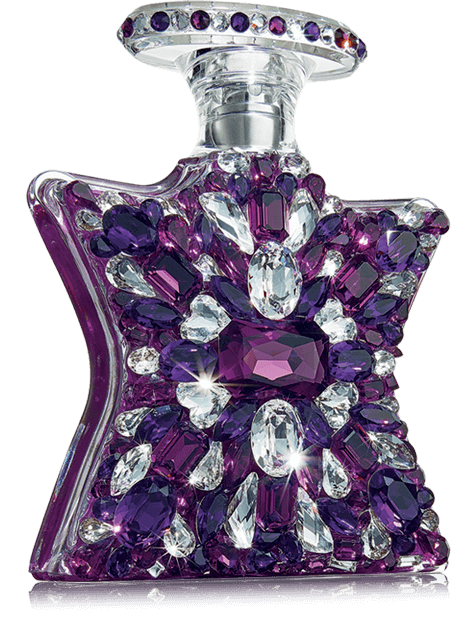 A sultry shareable oud, accented with rose, musk, and caramel-like tonka bean, its bottle enveloped in lighter and darker amethyst and purple velvet crystals evoking Bohemian Wine Glass. What’s more, it’s packaged in a delectable silk velvet box, whose cover is “etched” with a delicate trace-work of Swarovski rectangular diamond crystals forming the Bond No. 9 token logo. It’s heavenly, you might say.